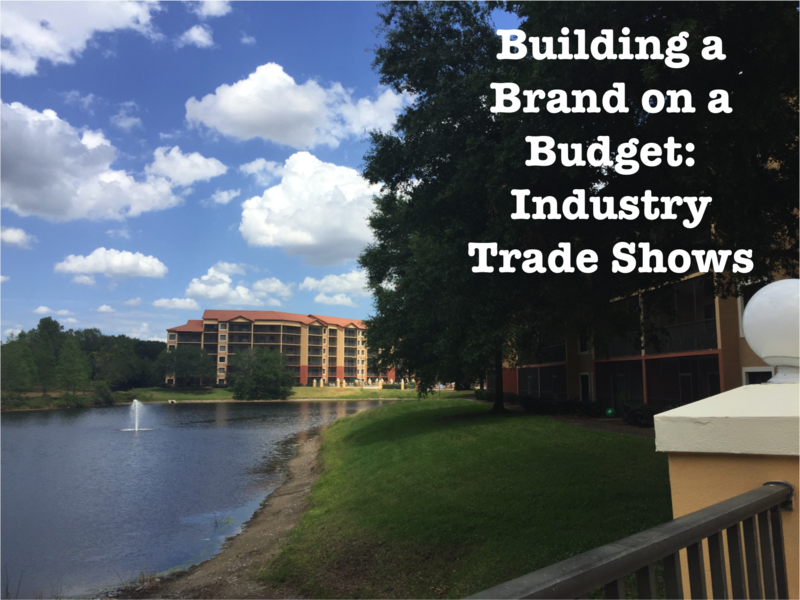 After a couple of days in Orlando, Florida at the Florida Vacation Rental Management Association’s annual conference, I’ve realized that it can be difficult for start-up companies with tight budgets to exhibit at trade shows and conferences. There’s just so much that you can mess up! When our company first started going to conferences we made some rookie mistakes and learned some important lessons that I’d like to pass along to other start-up companies. Our tips and tricks may not be applicable across all industries, but they will help you build a brand on a budget. Start-ups often attend trade shows, and in the process give away valuable development time and money that they could use improving their product, creating new products or adding value to their company in a multitude of other ways. So why even attend trade shows and conferences? First of all, exhibiting at trade shows gives you the best possible opportunity to get in front of many of your potential customers in just a few hours, which is in incredibly valuable for your sales person or team. Additionally, it gives you access to many vendors who attend the show and could provide value to your company as a supplier or partner. Outside of the personal connections made at these events, we have found it particularly beneficial when it comes to keeping an eye on industry trends and problems that our customers face. The exhibition booth is your most valuable investment as an exhibitor and the easiest to get wrong. Like any other investment you’ll want to spend some time planning what your exhibition booth will look like, what materials you’ll need, how people will interact with your representatives and how your materials will get to the trade show. There are a couple of guidelines to follow when designing your booth’s layout. First of all, you’ll want to think of a draw, something that will engage the conference attendees and bring them to your booth. Let me be clear: free promotional TRASH is NOT a draw. Your draw will want to be something unique that any attendee can do or participate in, there’s a chance to win something, allows people to have some fun and keeps them in one spot long enough for you to talk to them about your company or even better show them your product. Once you’ve figured out the draw you’ll then want to make sure that you pull your chairs off to the side (it looks bad if you sit and takes up a lot of room) and create enough room to stand with multiple attendees in your booth. Now that you’ve come up with your draw you’ll want to begin gathering the materials you need. If you plan on doing more than one conference, then avoid renting anything from the conference provider. It is the biggest rip off! Last year we rented a few high-top tables from the conference provider for about $500, and to avoid that cost this year, we bought plastic stands to go on top of the table they provide all exhibitors for $50. Finally, you’ll want to figure out how your materials are going to make it to the conference. Your best options are to either ship it through FedEx to another FedEx store nearby your destination, which is relatively cheap and allows you to avoid the outrageous handling costs the trade show will charge you, or to pack it all up and bring it in checked baggage on your plane. From personal experience I can say that checked baggage is cheaper for heavier materials, but for lighter packages it’s often easier and cheaper just to ship everything. As an exhibitor you only have a few minutes of the attendees time to convey what you do and how you’re going to provide value to their business. Besides having a well-crafted elevator pitch that works within the flow of your booth you’ll want to have an attack strategy for each attendee. For those attendees that are a great fit for your product and would be worth your time you’ll want to walk them through your draw, continue the conversation, show them how you can create value and leave with some sort of commitment from them (e.g. “I would be interested in doing this”, “You can follow up with me next week”, “I will share this with our partners”). For those that don’t fit what you want in a customer you’ll want to share your pitch and move on, they are not worth your time if there is no potential partnership or opportunity to work together. When your conversations go well with potential customers be sure to make some notes about their company and what you spoke about so you can properly follow up with them soon. A successful show means that you’ll have a list of potential customers divided into warm leads and hot leads that you’ll be able to follow up with in the next two weeks after the conference. Anything later is impossible to convert! When done strategically and with effort an industry trade show or conference can be very fruitful for startups that are trying to get in front of as many potential customers as possible. These tips are just the starting point for those who are interested in doing trade shows correctly. If you have any additional questions or simply would like to learn from our experience please reach out and let us know how we can provide advice!